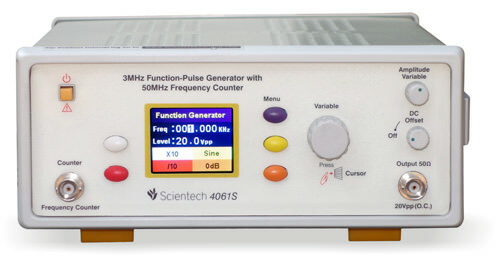 Scientech 4066 Pulse Generator offers low rise and fall time pulse signals at high repetition rate up to 10 MHz to meet today`s Test & Measurement needs. 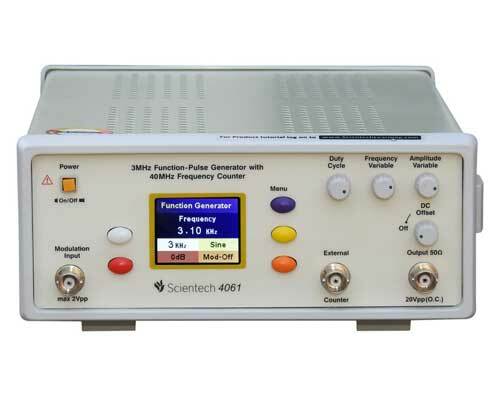 The Scientech 4066 features pulse width controls in 6 steps with variable adjustment. It`s External and Manual Triggering, FM and Gating output is very useful in Education & Training. 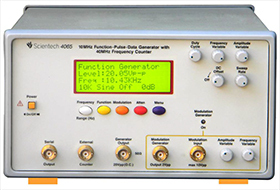 Simultaneously Pulse & Sync outputs can be utilized for various applications in Electronic Laboratory, R&D & Industry.